Following the 2014 Lacrosse fire, there has been heightened concern and discipline within the building sector to strictly comply with the relevant house building regulations in Australia. The disaster resulted in more than $2 million worth of damage to a high-rise apartment complex in the suburb of Docklands in Melbourne. As cited in a post-incident report by the Metropolitan Fire Brigade (MFB), non compliant building cladding - aluminium composite material (ACM) - was the direct cause of the "speed and intensity of the fire spread" that only took 11 minutes to blaze through the 21st floor. 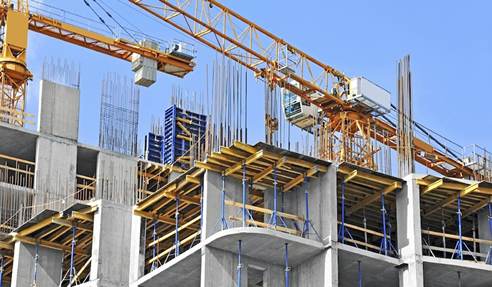 On June the following year, the Australian Senate called upon the Senate Economics Reference Committee to tackle the issue of non-conforming building products to strengthen house building regulations in Australia. The Senate Economics Reference Committee handed down its first interim report 'Safety - not a matter of good luck' in May 2016. The following year, another tragic fire made global headlines as the Grenfell Tower in West London went up in flames, resulting in 71 fatalities and major damage. The building is currently awaiting demolition. It has been found out that the fire was caused by the same non compliant ACM cladding with the Lacrosse building, giving further cause for the Australian building sector to take action against non compliance and non conformity in construction. It all starts with one. Every industry specifier must take part in helping mitigate the risks of non conforming and non compliant building. Awareness is key to ensure building products qualify in accordance with the relevant codes, local laws and technical standards. The National Construction Code (NCC) is a uniform set of nationwide technical regulations and provisions for the design, construction and performance of buildings and building products thereof. The NCC can be segmented into the Building Code of Australia (BCA) and the Plumbing Code of Australia (PCA). The general provisions regarding the acceptance of design and construction are cited in the BCA in Part A2 of Volume 1 and Part 1.2 of Volume 3, as well as in the PCA in Part A2 of Volume 2. Builders, contractors and industry specifiers can quickly access and download these sections from the official website of the Australian Building Codes Board. WaterMark Certificate of Conformity, a mandatory certification scheme for drainage and water management products to verify their compliance with the PCA as fit for purpose and appropriately authorised for use in drainage installations. Other appropriate documentary evidence, deemed acceptable by relevant decision makers. More valuable insight on house building regulations in Australia will be put front and centre at the upcoming DesignBUILD Expo 2018! Dubbed as the industry event of the year, DesignBUILD Expo will take place on May 2-4 at the Melbourne Exhibition & Convention Centre. Visit www.designbuildexpo.com.au for more updates.